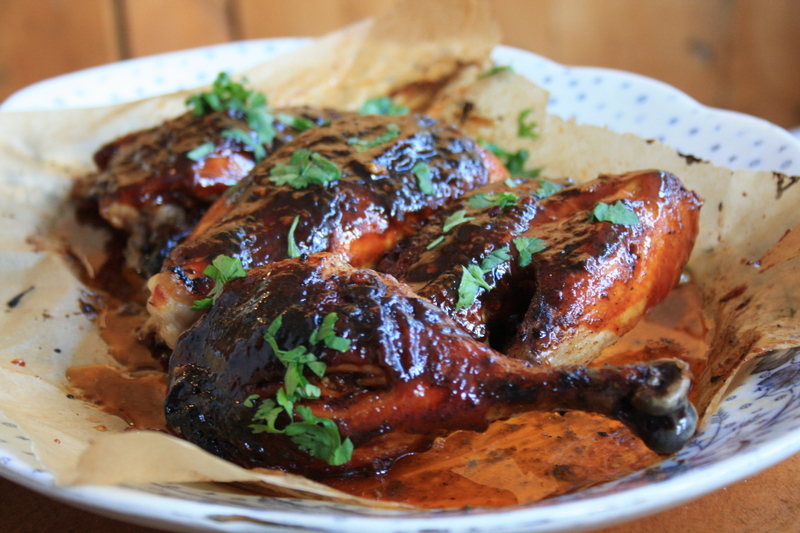 Molasses lime grilled chicken is seasoned with a simple marinade of garlic, fresh lime juice and zest, a touch of spice and sweet molasses. I’m not much of a barbecue queen. The gas grills I grew up with were always a little dangerous — the starter button was always broken so we had to light the barbecue with a little match and it terrified me. But I’m also a little lazy. The distance between the kitchen and the barbecue is about 30 strides and includes a door and six steps. I can’t be bothered running back and forth from the kitchen to the grill. (Putting something on the BBQ is not like putting a cake in the oven. Stuff on the grill needs to be tended. So do things in the kitchen.) That’s why I do most of my “grilling” in the oven. It’s just practical. Am I the only home cook who thinks the barbecue isn’t actually a convenience? No barbecue? No problem. 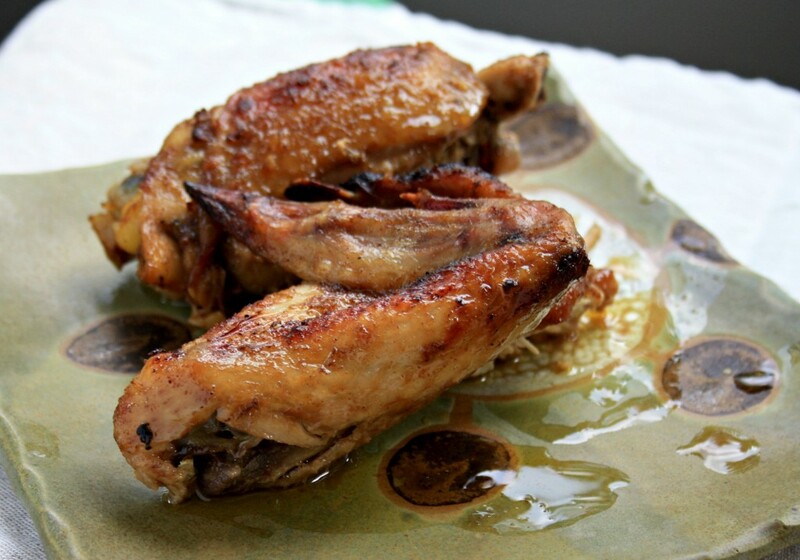 Molasses Lime Grilled Chicken can be cooked in the oven or on the barbecue. 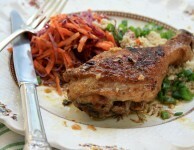 Arrange the chicken pieces in a glass baking dish and pour over the marinade. 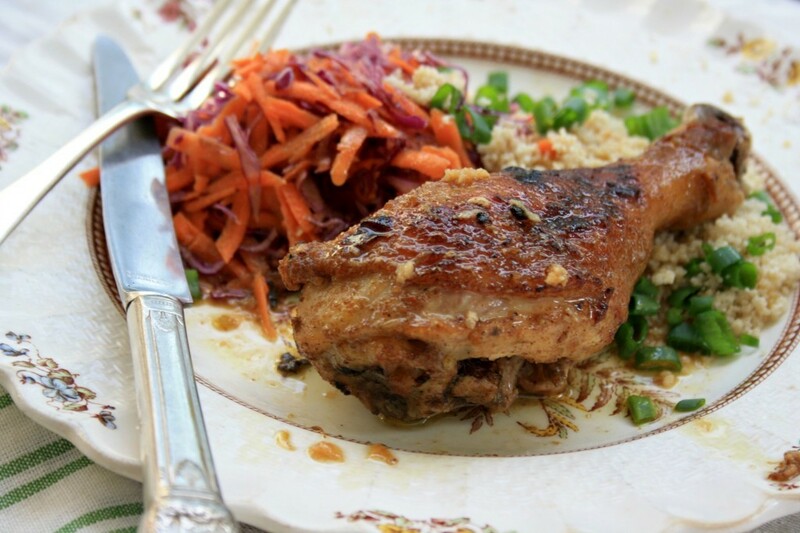 Let chicken marinate in the fridge for 30 minutes to three hours. Preheat oven to 350 F. Place dish with chicken (marinade and all) in the oven and bake, basting often, until done (about 30 minutes but will depend on size of your chicken pieces). Preheat grill to medium, turn off one burner and place chicken pieces on “off” side of grill. Close lid and cook until done, turning often. 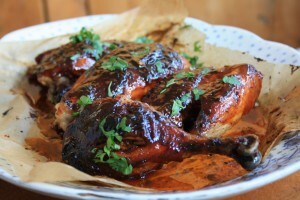 Have you tried our Finger lickin’ oven barbecue chicken with molasses slather? Your recipe looks nice. I’m going to try it out. 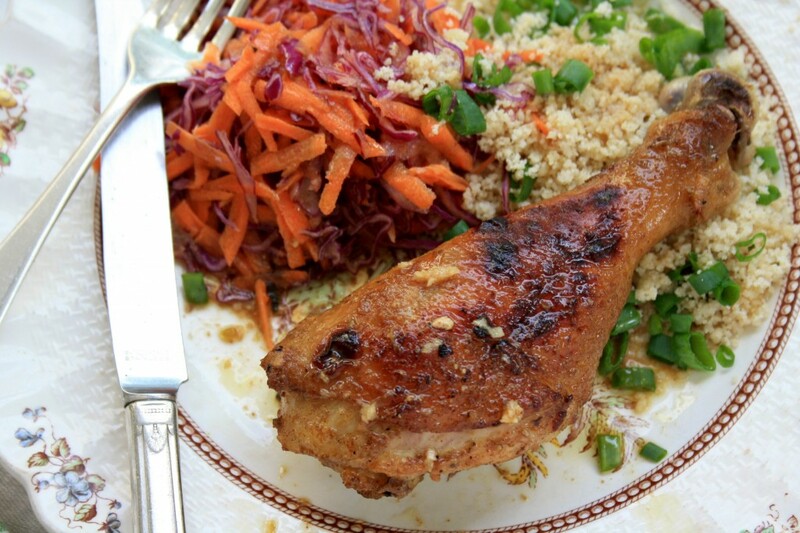 Lime and chicken is always good and the molasses will add a new touch. Yes, its true that the BBQ can become a bit of a pain what with running back and forth. Its why I sometimes just cook the food/meat earlier and and warm it up. Still tastes good and has the charcoal thing going…then I’m less tired and can enjoy my efforts! I love your idea to cook the food earlier. Barbecuing would be a joy if it meant hanging out in the back yard on a sunny afternoon, not worrying about anything in the kitchen. I’m sure I could learn from your organizational skills! You know, too many days of being too tired to eat forced me to change my approach and honestly, using the BBQ 30 minutes or and hour earlier made no difference with taste and saved me some energy. That’s a good lesson for me. Sometimes I try to squeeze everything in at once. I’d probably get better at the barbecue if I took more time with it. So, is the chicken cooked “with” the marinade or is it just used to baste it?? I don’t want to try this before I know for sure. Hi Shirley, Yes, I pop the dish with the marinating chicken right in the oven. 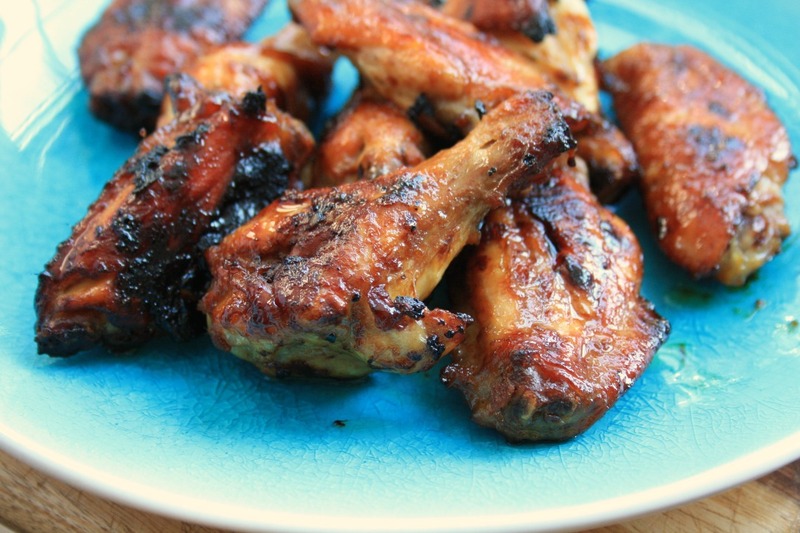 I find that the marinade helps it cook more quickly and keeps it moist. Plus I baste the chicken with the pan juices. Thanks for flagging that it isn’t clear in the directions. I’ll update the wording. LOLLOLLOL. I can so relate to the scary bbq…those long lighters were such a lifesaver! The recipe looks great, i’ll try it tomorrow, maybe since it’s cool i’ll try a 2 stage approach starting it in the oven and transferring to the grill just before serving. Thanks for the taste of home (from darkest Ontario)! Hi Maggie, I’m so glad I’m not the only one. (It’s a bit of family joke actually) I like your two-stage idea…much easier than straight grilling. Hey Guys, I usually do the 2 stage BBQ’ing thing, but a little different. I start on the BBQ and when I get a nice char on, I transfer everything to the microwave for a few minutes and VOILA!! Too often the food is getting burned but the insides are still raw. The microwave allows the meat to stay moist while still maintaining that charred flavour. Just thought I’d put it out there! Hi Jo-An, Thank you thank you thank you! I can use all of the barbecue help I can get and appreciate any suggestions that make it extra easy. I am totally with you I love my oven! Barbeques are a pain, all that running back and forth plus I never know what gifts the squirrels will leave me next ewww. This recipe looks good. Maybe I’ll make this for Sunday dinner. Hi Kathy, I hope that you get a chance to try this recipe. 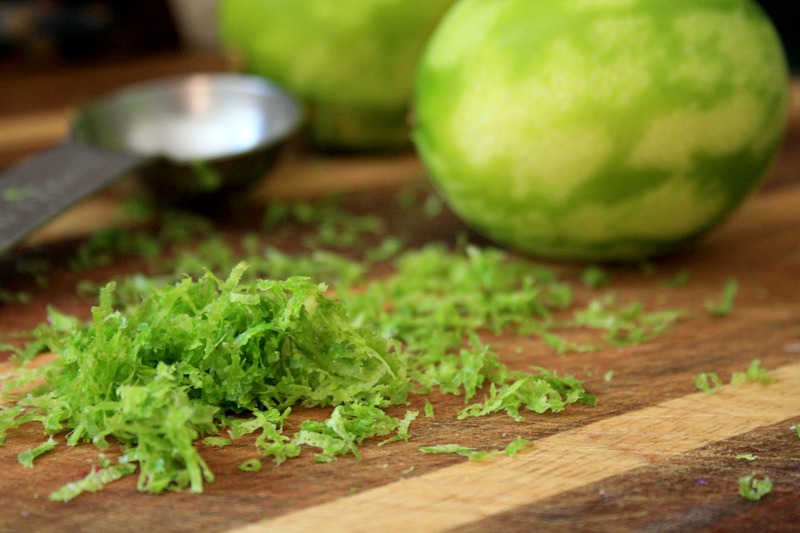 It is so delicious with all of that lime juice. I;m so glad we can BBQ in the oven since I live in a Condo and no were to bbq.It’ll taste just like I BBQ ed it.Thanks for the recipe. I am terrified of gas barbecues also had a bad experience years ago and never forgot it. A friend was suppose to be showing me how to light the barbecue he had a few drinks under his belt and was yapping do this do that all the while the gas was turned on. Then told me to put the lighter in the hole in the side the flame shot out at me singing my eyebrows, and bangs, that was it for me never again I use oven or George Foreman, and found out if you do not clean the grill after using, it will brown a steak just like barbecue as you are grilling both sides same time about 4 mins for med. Hi Shirley, Glad I’m not the only one with a healthy fear of the gas barbecue. Thanks for the tip about the George Foreman grill. I haven’t ever tried one but it sounds appealing. Its freezing cold here tonight in Rothesay and I’m doing it in the oven. The marinade smells delis and I am looking forward to tasting this yumminess. Thanks for the inspiration! Hi Janet, I hope you enjoyed the recipe. Thanks for the reminder — I had forgotten all about that recipe.